Our final exhibition catalog is out now, available via Blurb for $25. Cover art by Becca Hall. 82 full color pages presenting each artist, interview, and all artwork we’ve hosted in the gallery for the years 2016 and 2017. Artists included: Kay Campbell, Berkley Warner Chappell, Julia March Crocetto, Sarah Eaton, Shiloh Gastello, Gordon Waverly Gilkey, Craig Goodworth, Paul James Gunn, Becca Hall, Yuji Hiratsuka, Robert Huck, Demetrios Jameson, Satpreet Kahlon, Christina Kemp, Colin Kippen, Erin Martinez, Sarah Gee Miller, Ryan Molenkamp, Kathryn Cellerini Moore, Jay Muhlin, Michelle Ramin, John Henry Rock, Nelson Sandgren, Ayumi Takahashi, and Emily Wobb. Bukola Koiki is a mixed media artist working in Portland, Oregon. She is a graduate of the Applied Craft + Design MFA program at Oregon College of Art and Craft and Pacific Northwest College of Art. 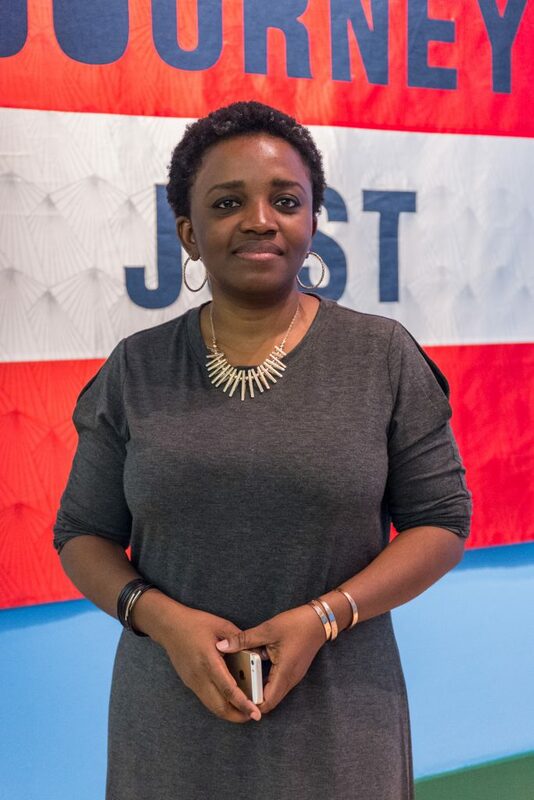 Bukola recently wrapped up her first solo show at the Portland Building, and is a current Project Manager at Scout Books. This interview is the fourth in a series conducted by OCAC thesis student Lindsay Costello. Duplex: You were born in Lagos, Nigeria and moved to the States as a teenager. How did your upbringing help determine your path as an artist? Bukola Koiki: I grew up in a bright and vibrant culture full of colors and patterns on everything from textiles to signage. Life has always been colorful. My parents were a bit bewildered about my artistic streak, since they championed a more pragmatic direction like medicine or law. However, through perseverance and a series of fortunate events involving a high school classmate and the American Visa Lottery, I was able to come to the U.S to live my dream. The grim reality of being an immigrant teenager was not easy or glamorous, but I think because I have lived through some dangerous and interesting times in Nigeria with my family, I have always been able to find my way through the various challenges I’ve encountered on my way to an artistic career. I Claim That Which Was Never Mine; digital video, 4:30 minutes, looped in installations. 2014. 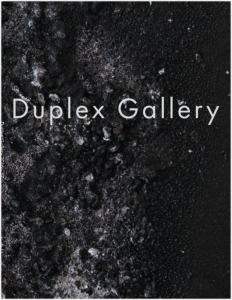 Duplex: Your work explores cultural hybridity and dislocation, often through the use of paper, fiber and natural dyeing processes. How do these materials support your overarching themes? For instance, can you expand a little on your material choices in I Claim that Which Was Never Mine, where you made indigo-dyed geles (Nigerian head wraps) from Tyvek and canvas? BK: Paper, textiles and yarn are all mediums that can be made to feel or look like other materials, and this adaptability is what makes them interesting to use in my work. For I Claim That Which Was Never Mine, I was exploring the idea that displaced people can claim parts of their cultures through the act of making and repetition. Specifically, I was investigating the rite of passage of learning to tie a head tie for traditional outfits for special occasions, a skill not learned at the feet of my mother or other elders. I used Tyvek and canvas as representations of the actual textiles used for Nigerian head ties (gele and aso oke respectively). This helped to further enhance the idea of dislocation I was exploring in this work. The Tyvek was especially resonant, since it’s this strange hybrid textile itself (neither paper nor cloth.) Through experimentation, I discovered that it can be dyed, though its hold on the dye is tenuous and eroded with time. I think that same uncertainty and tenuous hold is present in the lives of displaced persons of every kind. 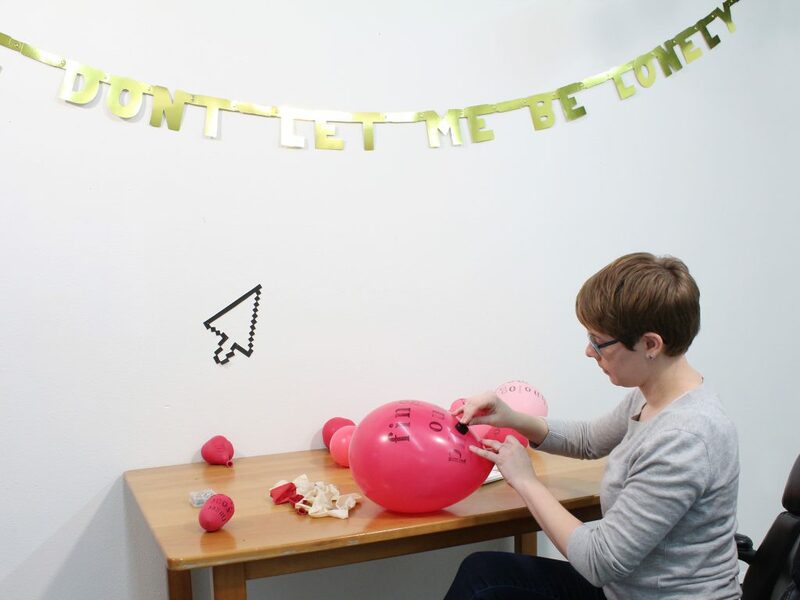 Oregon College of Art and Craft MFA graduate Hannah Newman is a multimedia artist based in Portland, Oregon. She is an Artist-in-Residence at Rainmaker Artist Residency. This interview is the third in a series conducted by OCAC thesis student Lindsay Costello. Duplex: How did your upbringing influence your path as an artist? Were your parents artists, or did you have a creative mentor growing up? First, I was home schooled for most of my life, which made me realize at a young age that any system (in this case attending a school) probably has alternatives and loopholes, and what new possibilities might exist if we consider engaging those systems in unexpected ways. Second, I was a dedicated Irish dancer from elementary school until I graduated from high school. I think dancing gave me a high threshold for endurance, and even enjoyment, within a practice of monotony. Once a week we had drill class, where would practice each minuscule section of a dance 50-60 times in a row. My friends and I dreaded drill class, but it worked—repetition allowed you to learn through your body exactly how a dance should feel. A lot of my work now has repetition or boredom somehow built into it, like writing the iTunes Agreement by hand, or stenciling the phrase ‘one becomes accustomed so quickly’ on a piece of paper every day. Irish dancing taught me the value of repetition, discipline, and enacting a concept with your body, and I carry those values into my work now. 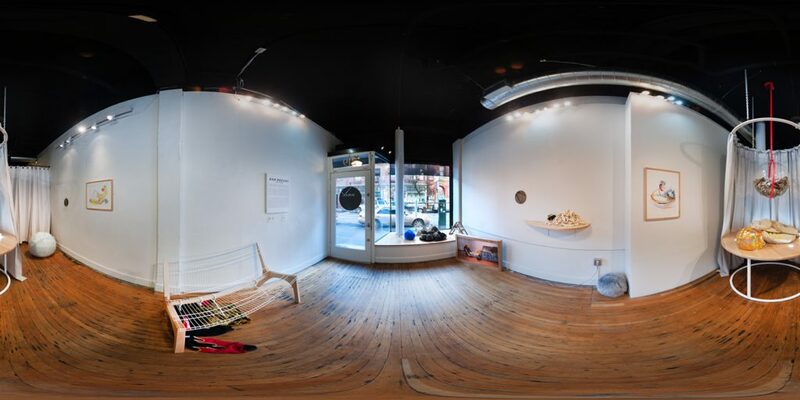 Duplex: Your work “examine[s] digital technology and language as intangible structures that mediate our interactions with others, the world, and ourselves.” How did your interest in the relationship between language and technology develop? HN: It’s not something we generally consider, but language is also technology—just a much older, and much more internalized form of technology. Many of the worries people have raised about the possible effects of digital technology were present when both the alphabet, and later the printing press, came into widespread use. Socrates discouraged the use of written language for fear that people would no longer rely on their memories once they learned to write. Ultimately language and digital technologies are structures humans have developed to communicate with one another. So what can an old technology teach us about a new one and vice versa? Any technology, especially ones so widely adopted, teaches us about ourselves since we are the ones who have designed, developed, and adapted it. Thinking about technology is really just thinking about ourselves. It is with sadness that I have to announce that Emily Wobb’s Bad Dreams will be the final show at Duplex. We hope you join us on our last First Thursday, January 5th, to celebrate Emily and the past four seasons and sixty-three artists we’ve hosted at the gallery. We were really excited about our fifth season of programing: Sarah Burwash, Stacy Lovejoy, Akiko Masker, June Sanregret, Kate Nartker guest curated by Ashley Stull Meyers, Sarah Rabeda, Nico Mazza, and our 4th annual MFA group show of Kayley Berezney, Carlin Brown, and Megan Hanley lead by Melanie Flood. Please take some time to check out their websites. We will continue updating the gallery guide and blog with artist interviews and related content. THANK YOU for all you support and kindness! P.S. 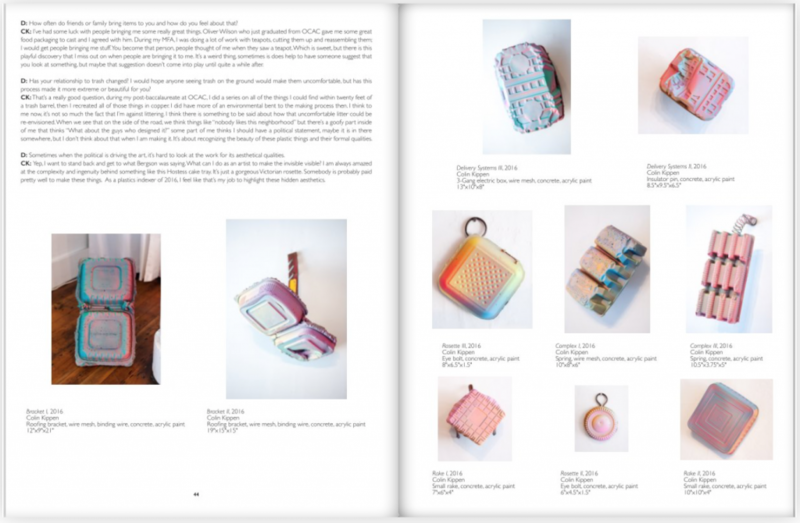 Keep your eye out for our final exhibition catalog. 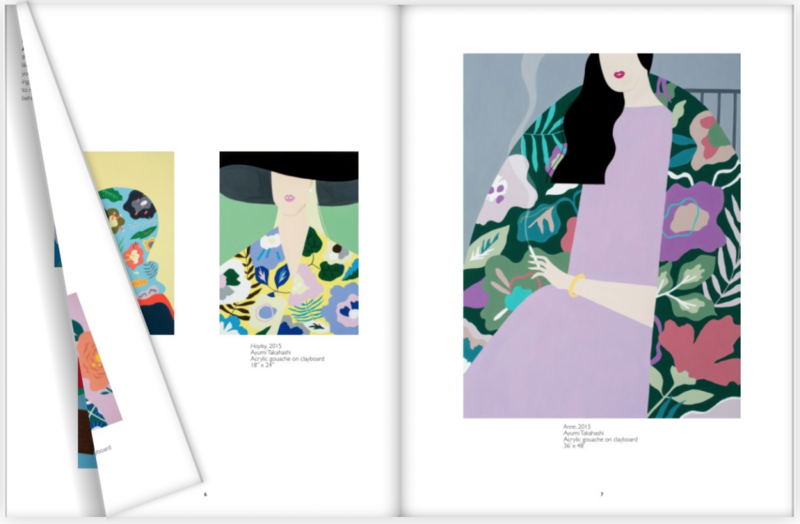 The catalog is 70+ full color pages presenting each exhibiting artist, their interviews, and all artwork we’ve hosted at Duplex in 2016 and 2017. Artists included: Kay Campbell, Berkley Warner Chappell, Julia March Crocetto, Sarah Eaton, Shiloh Gastello, Gordon Waverly Gilkey, Craig Goodworth, Paul James Gunn, Becca Hall, Yuji Hiratsuka, Robert Huck, Demetrios Jameson, Satpreet Kahlon, Christina Kemp, Colin Kippen, Erin Martinez, Sarah Gee Miller, Ryan Molenkamp, Kathryn Cellerini Moore, Jay Muhlin, Michelle Ramin, John Henry Rock, Nelson Sandgren, Ayumi Takahashi, and Emily Wobb. This catalog, and all our past catalogs are available through Blurb.